Unbound serves more than 18,000 sponsored children and elderly in Honduras. An Unbound mothers group there, the Faith and Hope mothers group, sells homemade hamburgers to those in their community. They made such amazing hamburgers that we had to get the recipe and share it with you, along with a special sauce they make to go with the burgers. Here is part one of the recipe! 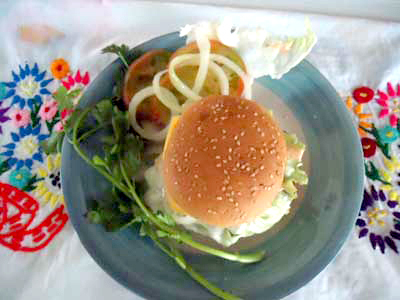 Hamburgers and special sauce from Honduras … mmm! The mothers make and sell these hamburgers, and their recipe makes 40 burgers! You may want to adjust the recipe based on how many hamburgers you plan to serve. Get the recipe! 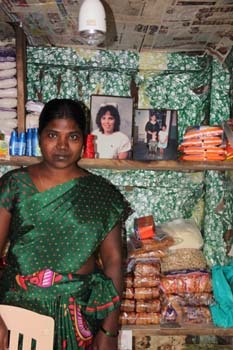 Sathya opened her own store with help from a CFCA mothers group loan. We recently heard from our Hyderabad project in India about several mothers of sponsored children who are exemplifying the potential of families living in poverty. Here’s the story of Sathya – enjoy! My family and I live in a remote village in India. My husband used to be a contract worker; the income he earned was not enough to support our family. I had an opportunity to take out a loan through my mothers group. I talked with my husband, and we both shared the idea of opening a store in our village. He supported my idea and agreed to purchase the required materials for the store. First, I opened the store in our home. I soon repaid the first loan, and I took out another loan to purchase a kiosk made with wood. After that was repaid, I asked for a third loan to buy a refrigerator to keep a few cool drinks in the store. 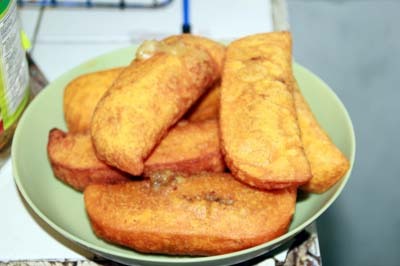 Celina’s empanadas from Colombia … mmm! Celina used the income from her business to purchase her first home. Md. Baby and her son Anwar. We recently heard from our Hyderabad project in India about several mothers of sponsored children who are exemplifying the potential of families living in poverty. Hereís the story of Md. Baby ó enjoy! I was married at an early age. My husband died after the birth of our only son Anwar. Since then, my problems increased. I learned to sew after my husband passed away, and I used to go the fields to work as a daily laborer to provide for my family. When I heard about CFCA sponsorship, I went to apply for the program. The sponsorship program has given a new hope for me in the form of self-help groups. This video features a mothers group in our project in Santo Domingo, Dominican Republic. The narrator in the video, Altagracia Flores, is a charismatic social worker in the Santo Domingo project. She and other CFCA staff members work closely with mothers of sponsored children who want to start or improve their livelihood or business. They can access small loans from the group fund, which consists of the mothersí individual contributions and a CFCA matching amount. Altagracia shares with us the example of two mothers who have succeeded in improving their small businesses and their families’ living conditions.